There are a lot of factors that contribute to your local SEO and a good placement on Google Maps (and the maps within search results) is a major one. Some businesses are having trouble getting their listing to come up in local searches, even though the profile is properly optimised and the marker is clearly in the right place. Sometimes it’s just an extremely competitive market, so the maps results go on for a few pages. But on a number of searches, businesses from further away – even places that are outside the searched town or county – rank better than businesses that are physically closer to the location in the search query. Google’s Local Support have explained that their algorithms could decide that another business is more relevant because that business has been clicked on more. The problem here is that businesses who appear higher up the map search results are more likely to gain clicks; it almost becomes a self-fulfilling prophecy, which often works against SMEs who may not have the knowledge to make their Google Maps listing attractive to users. 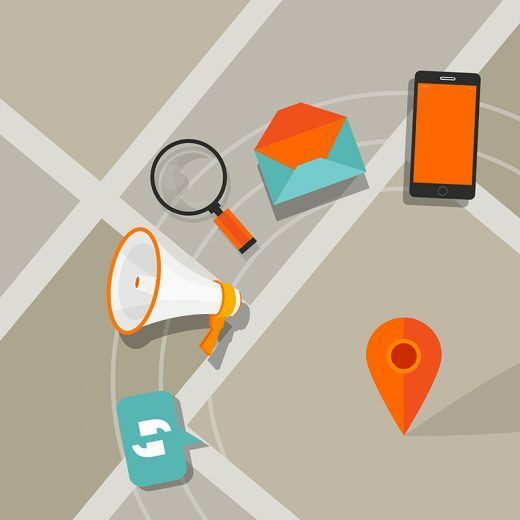 The maps are no longer an objective tool that shows users all of the businesses within their searched area, ranked by location – this part of the search results is simply an extension of Google’s web search, which has always been algorithm driven. Click Through Rate is clearly an important metric to Google, and has been used as a way to determine PPC ad position for a while. It may also contribute to organic rankings (outside of Google Maps). That said, it’s important to remember that it’s not the only way of helping your Map listing rank well; there are a range of factors that allow you to make the listing more attractive and valuable to users, which in turn improves your position in local search.